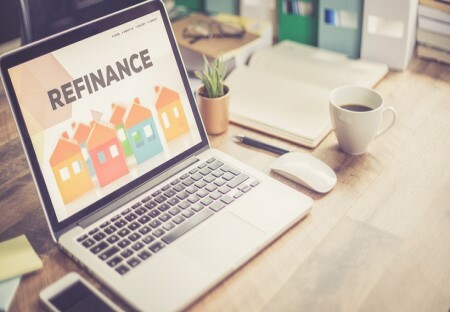 Applications for mortgage declined further during the week ending August 3, as applications for refinances sank to their lowest level since December 2000, according to the Weekly Mortgage Applications Survey released by the Mortgage Bankers Association. The Market Composite Index, a measure of mortgage loan application volume, fell 3% on a seasonally adjusted basis to its lowest level since January 2016. The index also decreased 3% on an unadjusted basis. The Refinance Index decreased 5%. The Purchase Index dropped 2% on both seasonally adjusted and unadjusted bases. The unadjusted Purchase Index was 2% lower than the same period in 2017. Refinance applications saw a smaller share of overall activity with a decline to 36.6% from 37.1%. The adjustable-rate mortgage (ARM) share of activity decreased to 6.3% of total applications. FHA applications accounted for 10.4% of all activity, remaining unchanged from the previous period. The VA share of total applications increased to 10.6% from 10.5. USDA applications took a 0.8% share, remaining unchanged. Changes in average contract interest rates were mixed during the period. The 30-year fixed-rate mortgage with conforming loan balances saw its average remain unchanged at 4.84%, with points also unchanged at 0.45. Rates for the 30-year fixed-rate mortgage with jumbo loan balances averaged 4.74%, down from 4.76, with points increasing to 0.39 from 0.37. The 30-year fixed-rate mortgages backed by the FHA saw rates increased to 4.83% from 4.78%, with points increasing to 0.76 from 0.74. The average rate for the 15-year fixed-rate mortgage decreased to 4.26% from 4.29%, with points decreasing to 0.48 from 0.53. The 5/1 ARM averaged 4.07%, down from 4.17%, with points increasing to 0.42 from 0.32.